Today, Xiaomi is announcing its new high mid-range Mi MIX 2S. This is the latest entry in the Mi MIX series, noted for its display that goes all the way to the top of the phone, and one of the first smartphone families to really push the concept of a full-screen display. 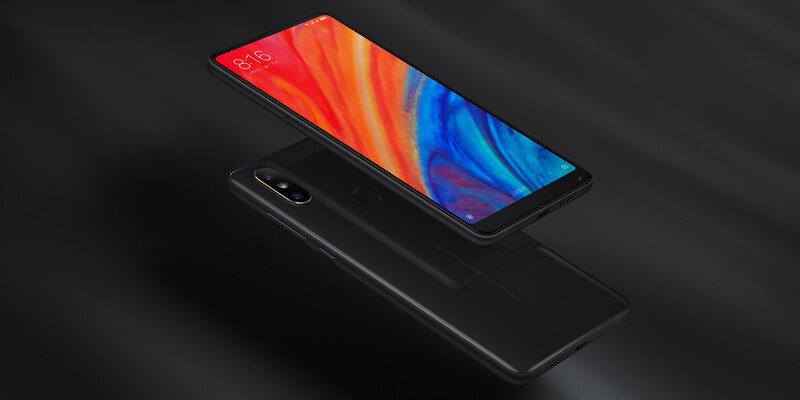 The 2S succeeds the 6-month old Mi MIX 2 by upgrading the SoC to the latest Qualcomm Snapdragon 845, and upgrading the rear camera to a dual-camera configuration. Support for 7.5W Qi wireless charging and Google ARCore apps are also now part of the device. Xiaomi is also touting some AI functionality in enhanced camera features and smart voice assistant, though technical details were not disclosed. To note, the Mi MIX 2S launch today is for Xiaomi’s current markets, and so does not apply to the US or most of Western Europe. In any case, when asked about the 2S potentially coming to the US, the company only referred back to CEO Lei Jun’s statement earlier this month targeting the end of 2018 to early 2019 timeframe for a general mobile entry into the US market. Physically-speaking, outside of a smaller top speaker grille and accommodations for the new dual camera, the ceramic-encased design is near identical to the Mi MIX 2, which itself was iterative on the pseudo-concept phone that was the original Mi MIX. The smartphone keeps with the near no-bezel design and larger vertical 18:9 screen, made possible with the same under-display proximity sensor and earpiece speaker at the top and keeping the front camera at the bottom. This last point, of course, means that using the front camera still necessitates flipping the phone upside down unless chins are required. On the back, the new rear dual camera has been moved to the side as opposed to a symmetrical placement in the middle, matching some other flagship devices. For the overall device specifications, the dual camera is the highlight of the 2S, along with the latest Qualcomm Snapdragon 845 platform, something we’ve just taken a close look at. The 2S brings a new dual 12MP camera configuration, coupled with a number of machine learning based features such as scene detection and dynamic bokeh portrait effects. With the Snapdragon 845 and Adreno 630, Xiaomi claims a performance increase of up to 30%, as well as a 3x improvement in AI processing due to new on-device functionality on the SD845. While we were provided with a hands-on unit for first impressions, the global ROM remains on an internal build that does not represent final performance of both the SoC as well as the camera and AI featureset. The Chinese product page appears to state that initial batches of the phone will have these AI features enabled with a future MIUI update. The Mi MIX 2S is available for preorders today for the China market, and the Mi MIX 2S will be launching on April 3rd in China (and at a later date for selected global markets). Three configurations in either black or white models will be available, with the price ranging from roughly $449 to $544. It has everything I could ever wish for. Also is very pretty, until you look at the rear. The superimposed camera destroys practicability and design. Those prices are absolutely jaw dropping, so is the phone.